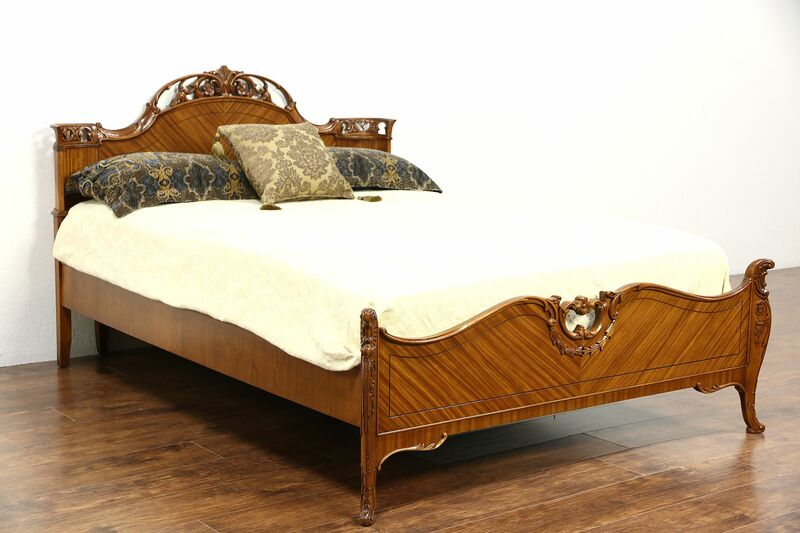 An elegant full or double size bed was richly carved in the French manner with matched satinwood panels, and dates from the 1940's. The restored finish is in excellent condition on this American made vintage furniture. Wood support slats are included, the demonstrator mattress in photos fits snugly and is 12" thick. Dimensions are 57" wide, 80" long, the headboard is 42" tall and the footboard is 21" high.